The Millennial Generation represents one of the greatest potential influences and challenges to managing talent in the next year or two. Hackett's 2016 Procurement Key Issues study revealed that talent management remains one of the top-three critical or major areas of focus for virtually all procurement organisations. The two perennial favourites, category management and strategic sourcing, make up the other top focus areas. "But can procurement cope with, and ultimately benefit from, the disruption brought into talent management by the Millennial Generation? ", asks Chris Sawchuk, Principal and Global Procurement Advisory Practice Leader, The Hackett Group. South Africa currently ranks 61st out of 137 countries within the 2017/2018 Global Competitive Index (World Economic Forum, 2017). One of the Index's main critiques against the country is its inadequately educated workforce, which re-affirms the critical role of education and skills development. It is imperative that the country ensures efficient and effective skills development and training delivery within industry, informed and driven by industry demands, within a clearly-devised strategy that partners with all role players within the economy. It is within this context that progress is being made on a framework for the development of supply chain management (SCM) professionals within South Africa, Ingrid du Buisson, Deputy Chairperson of Professionalisation for the Interim SCM Council, told SmartProcurement. Ensuring that the right quality of an item is ordered and delivered may seem like a fairly obvious responsibility. However, doing so in practice requires a fairly sophisticated understanding of market conditions and user requirements, which, like many organisations, municipal departments do not possess. "There is a higher probability of generating measurable savings if municipal purchasing departments play a pro-active role to assist client departments to identify needs before they arise", says government procurement expert Stephen Bauld, in this month's SmartProcurement. Bauld argues that successful municipal materials management may require a counter-intuitive approach towards purchasing. As we leave #youthmonth behind and move into July, it is a good time to consider the difference that procurement can make in the lives of South Africa's youth. In this month's SmartProcurement, Heilet Bertrand, Marketing Manager, Institute for Futures Research, University of Stellenbosch, takes a look at what procurement can do. Retaining procurement talent: ready for the future? Supply chain professionals in retail have an unprecedented opportunity to drive a profound shift in supply chain operational performance. But how will they strategically attract and foster a workforce that is ready to meet the evolving demands of future consumers, asks Rafique Jassiem, Group Procurement Manager, Oceana Group. 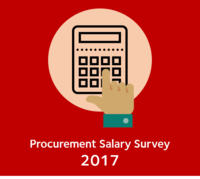 The conversation around talent shortages in the procurement space has been going on for five to ten years now. Greg Tennyson, CPO at VSP Global, has come to realise that the real problem is not the lack of ready-to-go procurement talent, it is the hiring managers' inability to see a future procurement professional in a law student, a finance professional, an engineer or yes, even a sales person. Procurement-managed expenditure accounts for an average of 65-75% of many organisations’ outflows. Tough economic situations, therefore, require procurement professionals to continually implement and manage cost reduction programmes. As many organisations continue to search for ways to reduce costs, there should be an agreed and well-defined programme for and by supply chain professionals to cut costs. Gibson Sibanda (MCIPS), general secretary of CIPS Zimbabwe branch, outlines eight initiatives and contributions that procurement practitioners can adopt to reduce and contain costs, in this month’s SmartProcurement. Making a significant impact on an organisation and its key stakeholders is statistically likely to end in failure: it is a pattern that has been repeated for decades and the reasons are many and complex. However, by applying some key strategies, the potential for success can be improved significantly, writes Ian George, from the Procurement Leaders Network and Transformation Lead at ProPar consulting, in this month’s SmartProcurement. Smart Procurement World celebrates a landmark year in its history this year. “We are celebrating 10 years of serving the interests of procurement and supply chain professionals in South Africa. Smart Procurement World would like to say ‘thank you’ for your unwavering support over the years,” said Mediacy Mudekwa, Head of Content, Smart Procurement World. The inaugural Smart Procurement World KwaZulu-Natal conference saw more than 467 attendees, 41 exhibitors, 223 SMMEs and 169 delegates hosted at the conference. Chief Procurement Officers (CPOs) have a very short window of time in which to make their mark at a company (the average tenure of a CPO is less than five years), and the terms of engagement are brutal: corporate mandates to reduce costs in the supply chain set up procurement officers for failure since costs can’t be reduced year over year indefinitely without a breakthrough change, which is hard to achieve, said Bill Michels, CEO and founder of Aripart Consulting. What is ‘Entrepreneurial Procurement’? How can the term entrepreneurial be applied to people who are working for large organisations? (Most are in procurement) Surely being entrepreneurial is about coming up with a new idea and building a business from the ground up? “That is the conventional view of an entrepreneur, but in the context that we are using the term we are referring to a particular mindset and set of behaviours,” explains Nigel Wardropper, Managing Director of Procurement and Supply Australasia (PASA). Wardropper provides a list of traits that he says demonstrates entrepreneurial thinking and behaviour in procurement.